RAG is glad to share useful reference materials made available by its members. The documents on this page have been reviewed by RAG Committee members and approved for general use. The copyright of each document remains with the original owner; these documents have been shared with the owner’s permission. This paper was written by Rachel Goodin and was approved by RAG on 21st May 2018. It provides an analysis of how the EU’s new data protection regulation will affect business operations. The paper can be downloaded by clicking on the following link, or else viewed below. This paper was written by Merve Şahin and Aurélien Francillon of EURECOM, and was approved by RAG on 7th April 2018. It discusses the issue of voice spam and the effectiveness of customers registering their numbers with national Do-Not-Call (DNC) lists. It shares research conducted using a honeypot of phone numbers from 8 European countries, concluding that DNC-listed numbers received significantly fewer spam calls. However, they also found evidence that the UK’s DNC list was actively abused by one spammer. This case study was written by Colin Yates and approved by RAG on 11th March 2018. It explains how criminals use test numbers before they systematically pump traffic to make money from international revenue share fraud (IRSF). Monitoring the use of these test numbers provides an early warning signal, giving fraud analysts working for the intended victim an opportunity to minimize the impact of the attempted crime. Colin’s business provides a database of premium rate test numbers known as PRISM. Download Colin’s case study by clicking on the following link, or view the document below. This glossary of words and acronyms was provided by Mandy Blackburn of Roscom. This is an updated version of a document previously included in this repository; the new version was approved on 20th November 2017. You can download it by clicking the following link, or you can view it below. This paper was submitted to RAG by Merve Şahin. It was approved on 26th July 2017. You can view it below or download it from here. 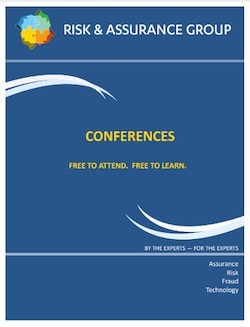 Merve has also written a number of other papers of interest to telecoms risk and security professionals, such as this review of the kinds and causes of telephony network fraud. You can learn more about the research done by Merve and her colleagues at Eurecom’s Software and System Security Group by visiting their website. This paper was written and submitted by Eric Priezkalns. It was approved on 10th March 2017. You can view it below or download it from here. This guidebook was written and submitted by David Morrow. It was approved on 19th July 2016. You can view it below or download it from here.